Ya Jagoff!!! | We Made a Late Night Move! 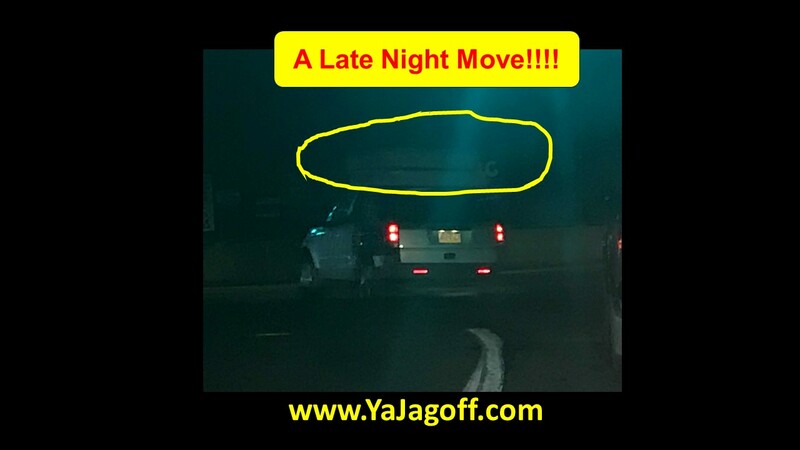 Home Driving Jagoffs We Made a Late Night Move! We Made a Late Night Move! The pic above has been waiting for this day.. or NIGHT.. as you might say! Check out may man driving around late at night with mattress and box springs on the top of the car. And, then, check out our new sharpy-dougans website here!! Yeah buddy! Hopefully you can find the blogs, the videos and the podcasts easier. Different than the mattress haulin’ dude, our man TJ did not have to drive around with his laptop on the roof of his car, with his arm out the driver’s window, holding on to it with a death grip to get this new website to where it needed to be! Oh, he toiled and listened to me whine like a sissy for months! But no mattress-moving level stuff! So take a look around the new website. Make sure that you get on our email list if you haven’t already. I mean, if nothing else, after spending big bucks on your mattress and box springs, just go ahead and pay the extra $35 to get the delivery… Ya Jagoff! Previous articleBaseball Bull Pen Carts are Back – Diamond Backs are NOT Jagoffs! Chest Hair on the News?